Demand from electric vehicles is blowing up lithium mining. In 2015, 174,000 tonnes of lithium worth $1.2 billion were mined. While the lithium-ion battery was invented 25 years earlier, the mineral hardly made headlines and output was controlled by four large primary producers (as it is today) operating largely out of sight in the high Andes and West Australia. This year primary lithium mining is set to grow to a $4.5 billion industry. Impressive growth but still a minnow. Pick any EV demand graph from any investment bank report, consultant white paper or research house forecast from the last year and they are all alike. They start in the bottom left corner and end in the top right. Graphs of future lithium supply look much the same. And the Big 4 – Albemarle, Ganfeng, SQM and Tianqi – will be responsible for the vast bulk of the output expansion. And thanks to joint ventures, cross-shareholding and downstream connections these companies are likely to only tighten their grip on primary production. The additional output will also be from largely the same places – brines in Chile and Argentina and hard rock in Australia. Both of which come with their own set of unique problems. On the salars in South America or basins in Nevada, an 18-month wait for solar evaporation. For Australian spodumene miners a long, costly and often bottlenecked chain from ore to battery grade lithium. MGX is also playing the green energy boom through a wholly-owned subsidiary called ZincNyx Energy Solutions acquired in December. ZincNyx this week announced the start of manufacturing of zinc-air batteries for modular storage of electricity from renewable sources. That makes the burgeoning industry ripe for disruption. MGX Minerals Inc, a mining junior based in Vancouver BC, is doing just that. And it’s already deploying its technology. 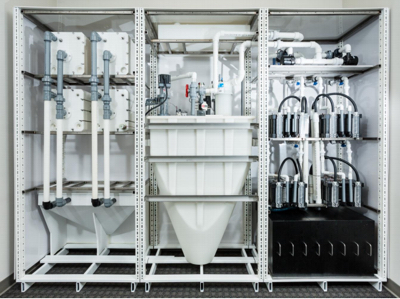 MGX, founded in 2012, and its Calgary-based water treatment subsidiary PurLucid, can cut extraction time of lithium from brine to a single day. A number of Chilean lithium juniors and brine producers are testing the technology to speed up time to market and at the same time slash their environmental footprint (and to stop praying for it not to rain). But cutting construction and production time for traditional lithium from brine producers is not even MGX's biggest selling point. MGX produces lithium by cleaning up the oil industry’s wastewater. The company has integrated PurLucid’s nanoflotation technology with its own rapid lithium recovery process. MGX bought 51% of PurLucid in September 2016 with an option to buy the firm outright. While competitors have emerged, MGX is now in deployment phase with North American oil and gas companies as first customers. The company this week closed on a $15.5m private placement and revenues from its roll-out will flow before the end of the year. 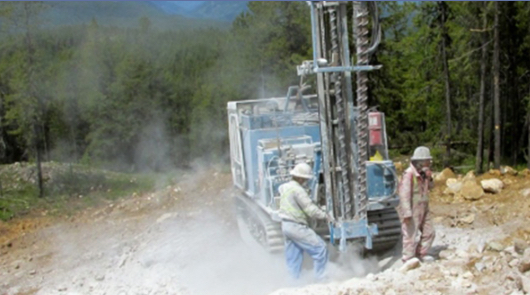 MGX is advancing its Driftwood Creek Magnesium project in BC, hoping to become only the second producer of magnesium oxide in North America. A preliminary economic assessment for the project outlines a 19-year mine life, a three-and-a-half year payback and $400m net present value. The North American wastewater treatment industry is worth $29 billion a year and the oil & gas sector pumps an astonishing 80–100m barrels of brine each day. Recognizing the massive expertise built up in the Alberta oil patch to manage wastewater, MGX started to develop the idea of what it dubs “petrolithium”. Lazerson says petrolithium enables “a beautiful transition” using robust industrial process to clean up the environment and reduce costs at the same time. For Alberta, struggling to bring bitumen to new markets outside the US, petrolithium represents energy diversification. For the Canadian province’s oil giants it provides not only environmental credentials but an on-ramp to the electric vehicle boom (not to mention a new revenue stream from water purification). 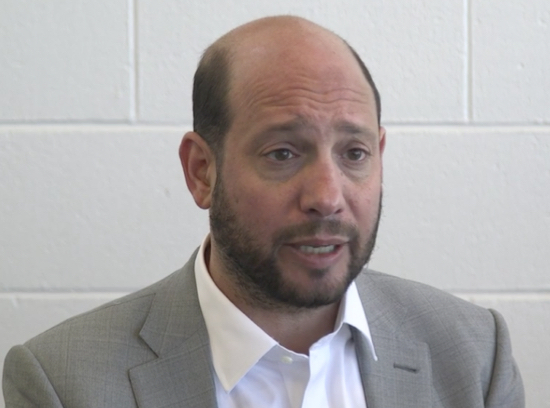 MGX have permits covering 1.7m acres in Alberta where it’s partnering with oil and gas majors and in the US, MGX has acquired leases over 110,000 acres in Utah’s Paradox basin. The company announced a seismic survey program in Utah this week. The MGX process can also be applied to wastewater from other industrial sources where lithium, an abundant resource, may be present. Lithium is on the list of 35 minerals deemed as "critical" and of strategic importance by the US dept of the interior in an effort to promote domestic production. MGX (CSE: XMG; OTCQB: MGXMF; Frankfurt: 1MG), listed in October 2014 and is worth C$112m on the Canadian Securities Exchange. The spot price of battery grade lithium carbonate in China has declined this year and was assesses at $21,000 per tonne at the end of May according to MetalBulletin data. That compares to $7,700 a tonne in June 2015.